Thrills by the Bay: Gold Striker now officially open! 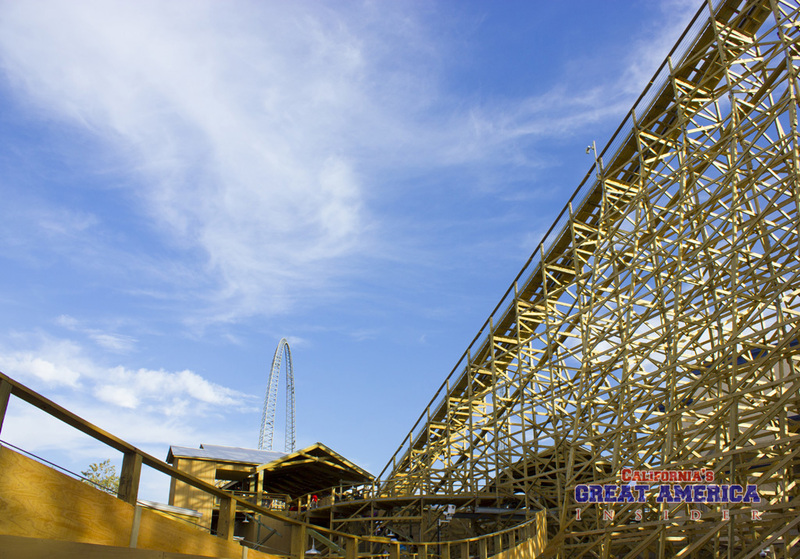 Gold Striker now officially open! 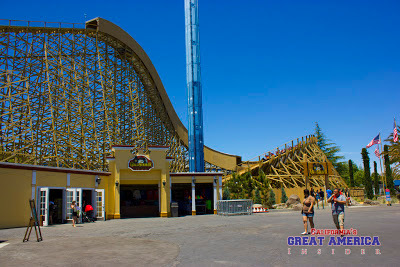 A few days late here but Gold Striker officially opened to the general public June 1, 2013. 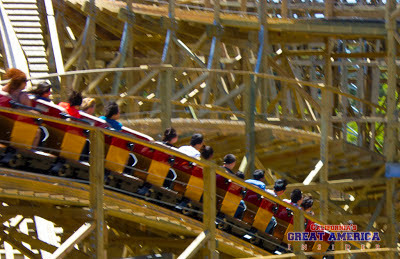 The ride actually technically soft opened Friday afternoon, May 31st but the big opening ceremony was put on the following day. The stage has been set up for opening ceremonies. 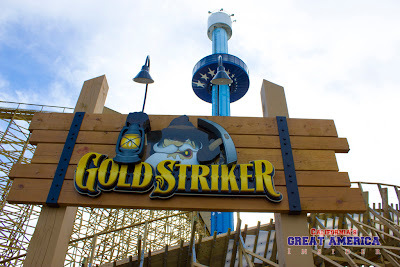 So what is there to say about Gold Striker? 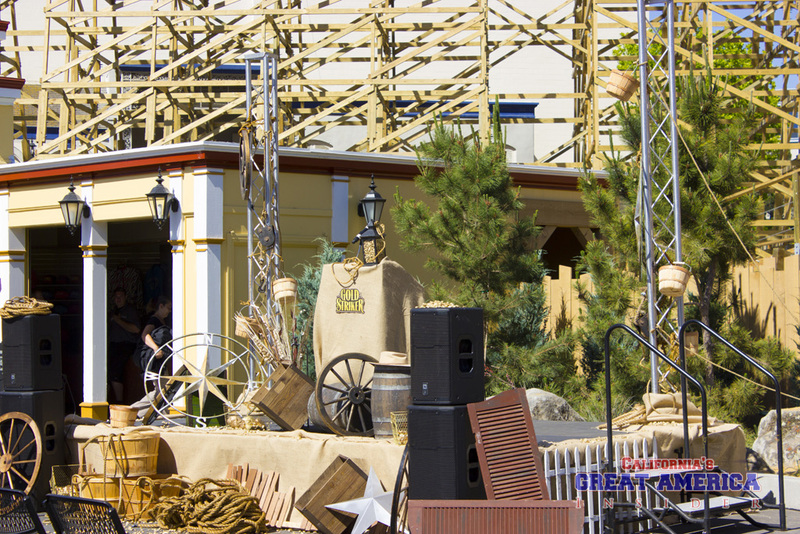 Well, it is definitely a star attraction for the park! 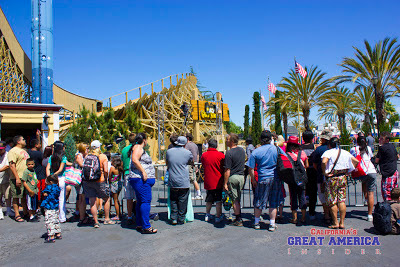 What was originally an abandoned/neglected walkway/plaza toward the defunct Pictorium is now full of life! 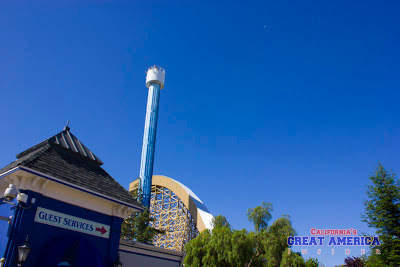 Well, the Pictorium still remains dormant to this day with the exception of it being used for Haunt. Anyway, back to Gold Striker! 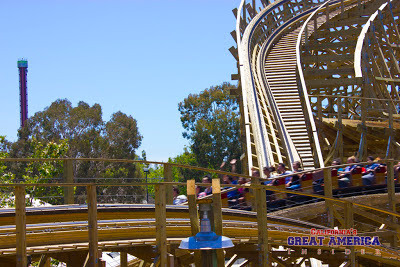 Let's take a look at an offride POV of the coaster. 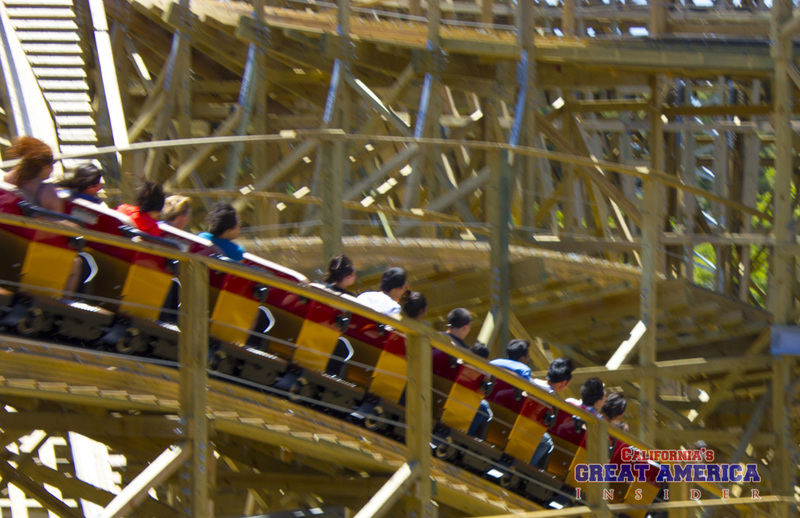 There's been nothing but smiles on rider's faces during the ride and coming off. 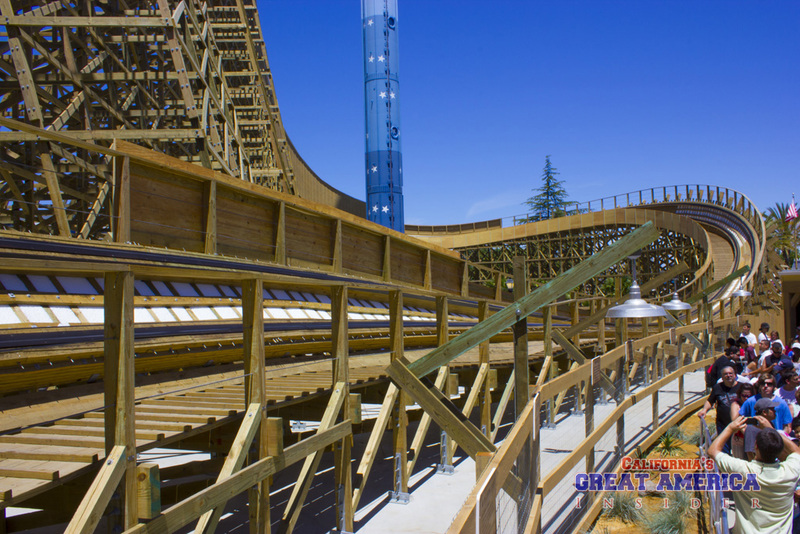 You know when a coaster is done right when you hear cheering and clapping as the train pulls into the brake run and again into the station. This is definitely one of those rides that will never go old and this is after taking in close to 60 rides. 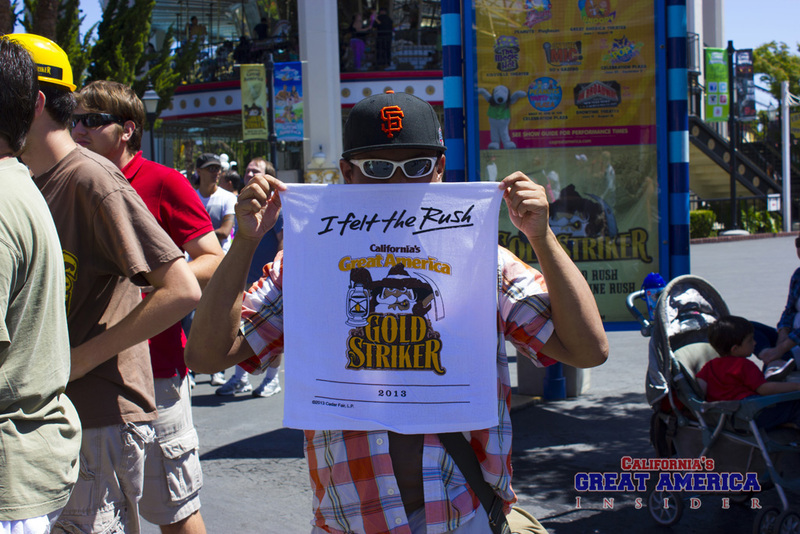 On Saturday, the first 9,000 riders got free rally towels branded with the Gold Striker logo. One of the early riders shows off his free towel. Wait times ranged from close to as little as 40 minutes up to 90 minutes and the queue remained consistently full! 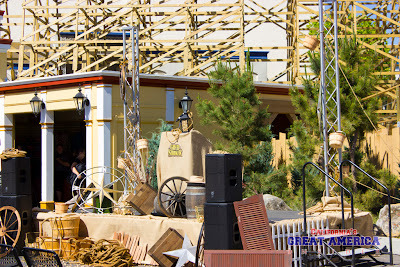 Several guests did however leave though perhaps a bit intimidated by the wait. The wait time is well worth it! The park has not seen lines this long in years. As mentioned, CGA has a winner on their hands and now there is a reason to visit the park this summer! 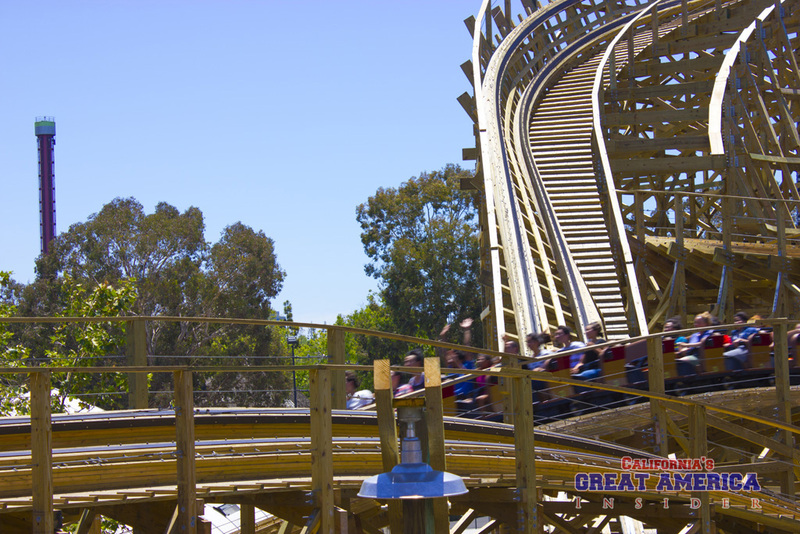 CGA has been known for not getting a major attraction (such as a roller coaster) since the early 2000's. 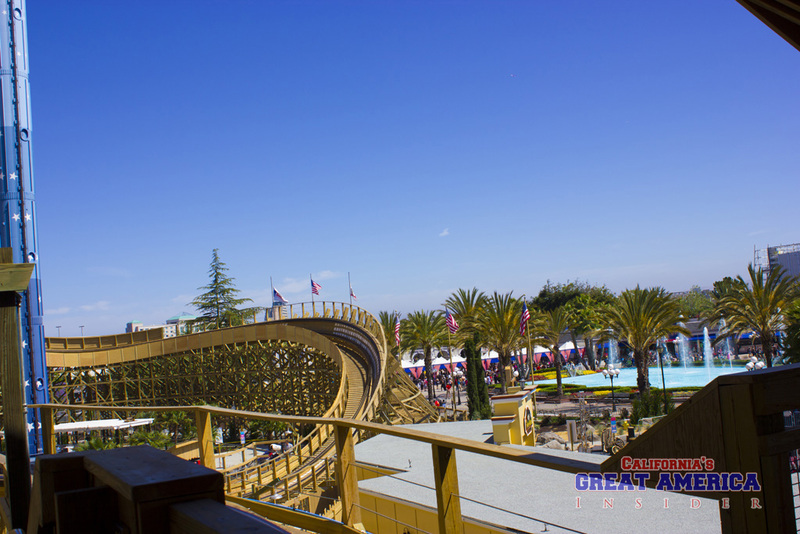 In fact, the last roller coaster they received was Psycho Mouse in 2001. Prior to that, their latest 'major' coaster that is still in the park is the 20-year-old Flight Deck (which is an amazing coaster by the way). 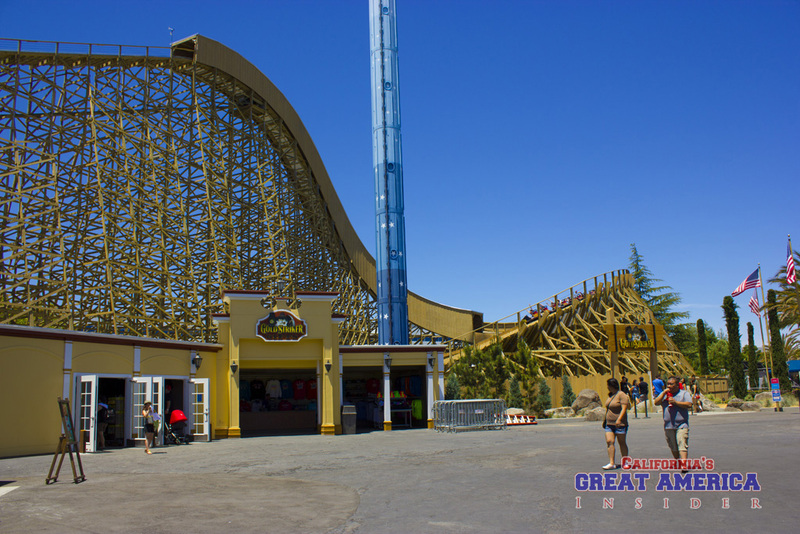 Gold Striker could very well be the start of a renaissance for Great America! Here are a few other shots from throughout the day of Gold Striker in action. 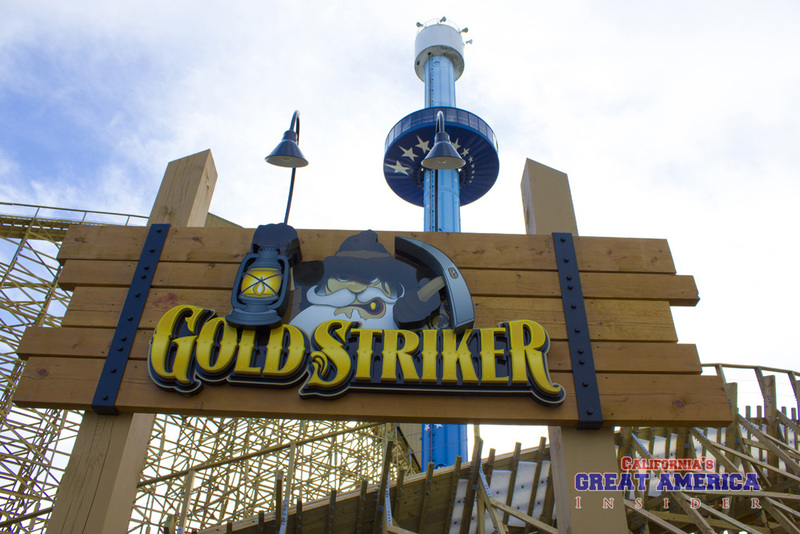 Gold Striker looms over the park entrance. recently installed on the inside of the turn. 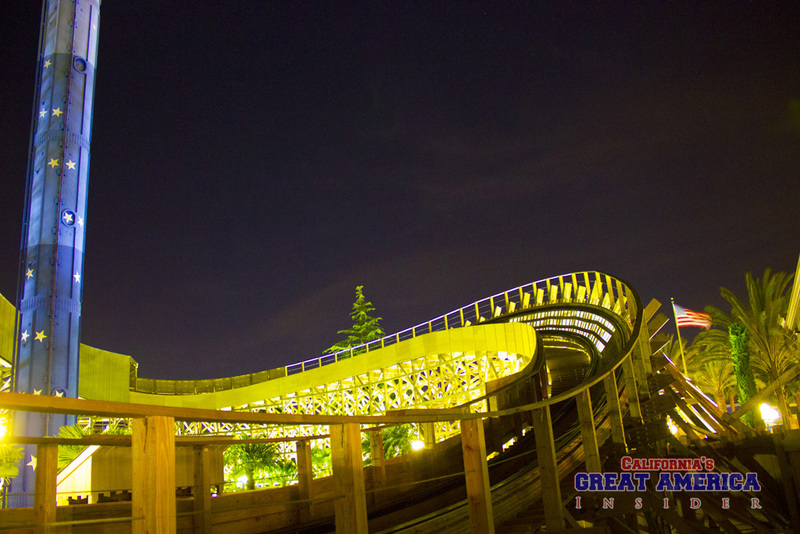 An evening photo of the banked turn exiting the first drop. 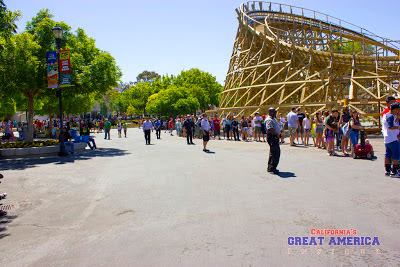 Crowds anxiously wait for Gold Striker to open. 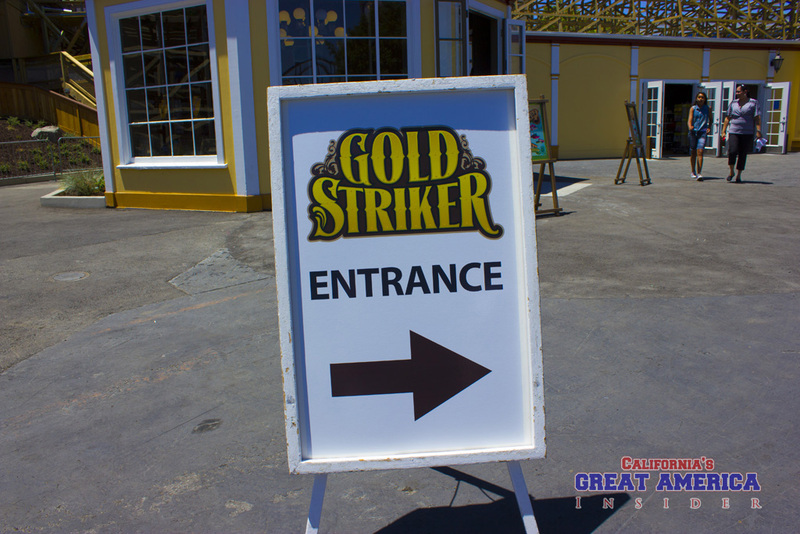 can purchase Gold Striker souvenirs as well as their onride photos. you may have brought onboard with you. 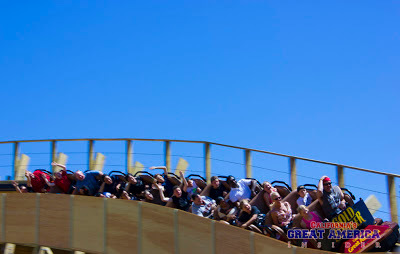 A train full of happy riders return to the station after an exciting ride! A train full of happy riders coming out the first drop. 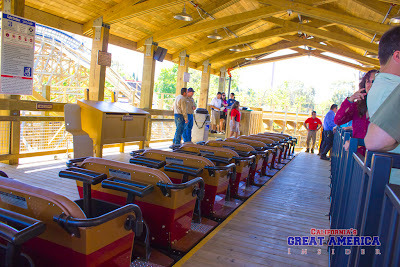 The mine cart is ready to take on some of its first riders of the general public. 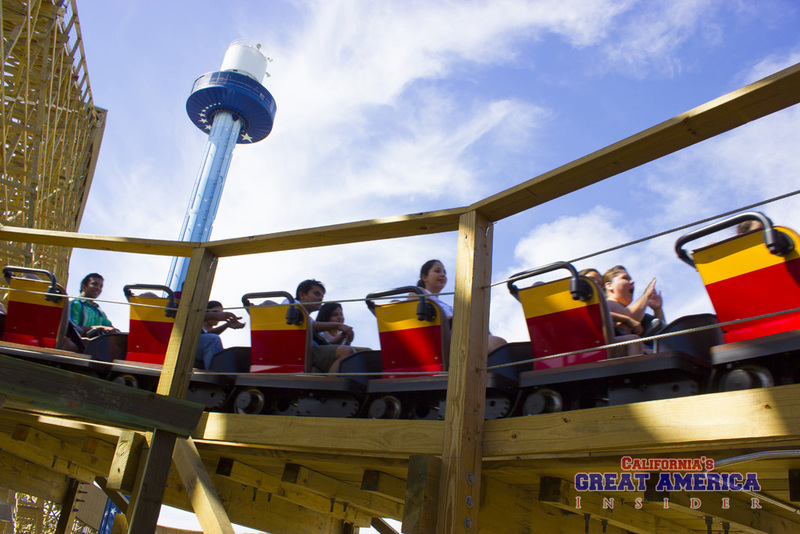 Another moment of zero-gravity before entering the midway turn! 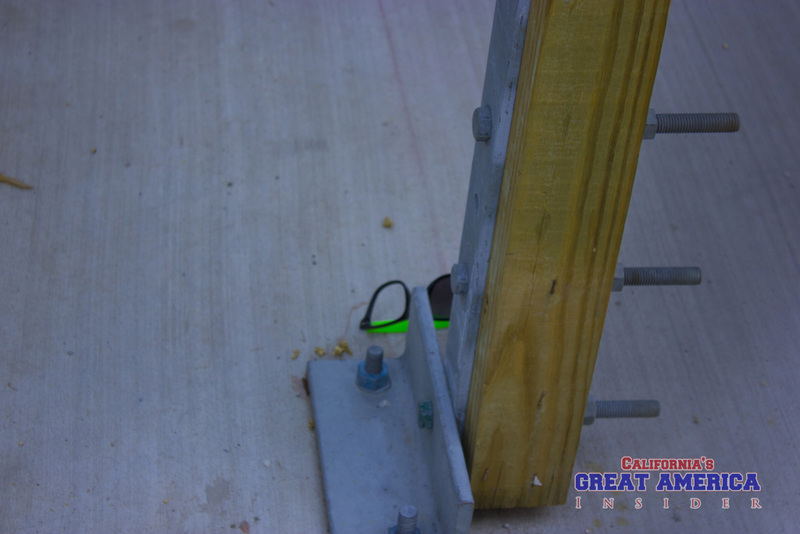 as infill between the ties. Stay tuned for future park updates and remember to like and follow CGA Insider on Facebook for park updates!